Enjoy the talk over this baby blanket at your next baby shower. It has a pretty texture, and looks super cozy as well. The pattern is in written form, and also comes with a left and right handed video tutorial. 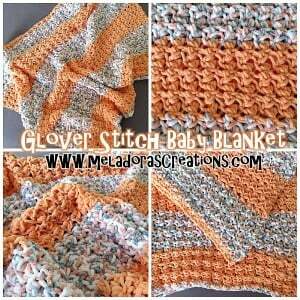 You will need a super bulky yarn and a P or an N crochet hook.